CORRECTION! The Banning Ranch Meeting scheduled today has been moved to the CITY COUNCIL CHAMBERS from the EOC to accommodate a large crowd. 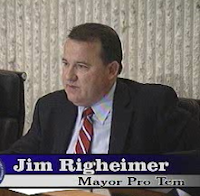 Thursday, October 20th, 2011 there will be a joint study session for the Costa Mesa City Council, Parks and Recreation Commission and the Planning Commission. As usual for study sessions, this is an informational meeting and the City Council can take no action. The meeting is scheduled for 4:30 - 6:00 p.m. and will be held in the Emergency Operations Center (EOC) adjacent to the Costa Mesa Police Headquarters at 99 Fair Drive. The meeting will be devoted to a discussion of the Newport Banning Ranch Draft Environmental Impact Report (DEIR) and the public is invited to attend and comment. Time has been allotted for public comments at the beginning of the meeting. 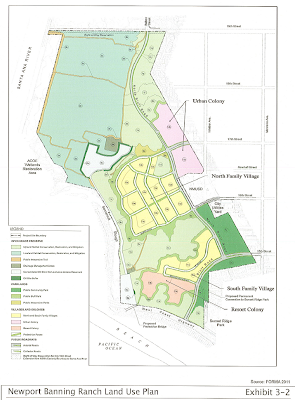 B riefly, the Newport Banning Ranch Project consists of 401 acres and the project proposal includes 1,375 residential dwelling units; 75,000 square feet of commercial uses and a 75-room resort inn. Approximately 51.4 gross acres are proposed for active and passive park uses, including a 26.8 gross acre public Community Park. Approximately 252.3 gross acres of the 401 acre site are proposed for natural resources protection in the form of open space. 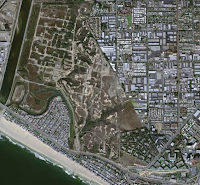 The controversy in Costa Mesa deals with the anticipated increase in vehicular traffic throughout the Westside of the city via the planned Bluff Road. It is expected that this traffic will put even more pressure on the already-beleaguered Newport Blvd,/19th Street intersection at the terminus of the 55 Freeway. This project has also ripped open the scab of a possible 19th Street Bridge over the Santa Ana River into Huntington Beach - a project long fought by Costa Mesa. Because the Emergency Operatio ns Center is a fairly small venue, those planning to attend are encouraged to arrive early to insure having a seat. Although it is only schedule for 90 minutes, the agenda report specifies 3 minutes for each speaker and no limit has been given for the number of speakers to be permitted. Costa Mesa Television will be in attendance and will record the meeting for later viewing on Time Warner Cable Channel 24 and ATT U-verse Channel 99, plus it will be available for viewing via streaming video on the City web site. 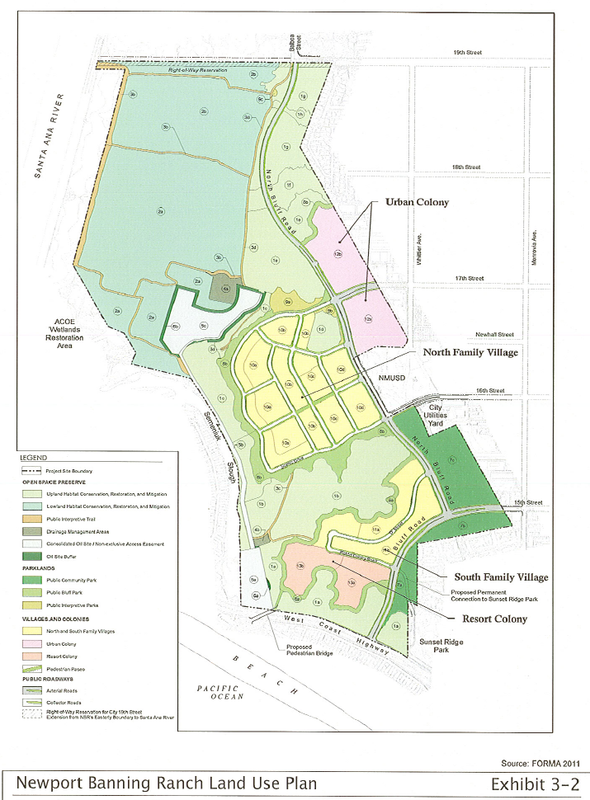 The following image is a plan for this development. Click on the image to expand. VERY early this morning I wrote my previous entry summarizing important points covered in last night's Costa Mesa City Council Meeting. I led off with my description of events that resulted in a de facto hiring freeze until the employee bargaining units agree to install a 2-tier pension system. I described the situation as I saw it and quoted Mayor Gary Monahan verbatim from the tape I made of the meeting. "The Council agreed with the recommendation in the staff report. I’ve formed a three-person committee that will determine if a position is critical enough to the City’s operation that it needs to be filled. If so, I will make the hire and also keep Council informed about any new personnel. In the meantime, we are working hard to enact a two-tier pension system so new hires will be given a pension plan that is much more sustainable for taxpayers." OK, if that's what Hatch thinks happened in open session, but it's not what I saw and heard. It may be what he WANTED to happen, or it may be what actually happened in subsequent conversations in the closed session, but it's NOT what happened while the public was watching. Don't get me wrong. I think his plan was the right one. He wanted the authority to hire staff members when he felt it was critical to providing proper, essential levels of service. That should always be the goal of our CEO, and the council - if it has confidence in him - should give him the latitude to perform his job. So, since we have this clear difference of opinion, I'm going to let you decide. I'm going to give you a couple clips from that segment of the council meeting - late at night Tuesday - and you decide what you heard. Really, Jimbo? You don't want to layoff people just because of a "pension problem"? What the heck do you call what you and your cronies on the city council did back on March 17th? You issued over 200 layoff notices, an act that caused one of them to leap to his death from the City Hall roof! Do you ever listen to what you say? The next clip is about 3:30 long and includes the discussion that led to my quote from Gary Monahan. That statement is included in this segment. I think you'll agree that Righeimer, Steve Mensinger and Monahan all were firm that they didn't want Hatch hiring anyone unless and until the 2-tier pension system in in place. So, that leaves me wondering just how much more of the City's business is bei ng done in secret. If Hatch's understanding of the situation is different than what was presented to the public in open session, where did he get that idea? Is it any wonder that the employee units no longer trust the City Council and, to a great extent, Tom Hatch? It's no surprise to me. It's going t o be VERY interesting to watch this part of our municipal drama play out. It's going to be VERY interesting to see just which positions Hatch thinks are critical enough to the mission that he will request council approval before hiring. I wonder if the two PR managerial slots in the CEO's office will fit that description? Will they get the nod over police or firefighter positions? I don't know about you, but if push comes to shove, I'd much rather have more cops and firefighters on the street than PR folks spinning slow response times and rising crime rates. But that's just me - a 38 year resident of this city. Confirming, once again, that good decisions are NEVER made late in City Council meetings, last night the council ignored CEO Tom Hatch's reasonable solution to Steve Mensinger's earlier request for a hiring freeze until a second pension tier is in place. Instead of permitting him to exercise the judgment they allegedly hired him for when it comes time to consider hiring a new employee, they snatched that authority right out of his hands. "I think the message being try to say over here is to the different departments, if we need, you feel really need help in the department and need to hire some people, we need to, we need to get this second tier done. That's the message I'm hearin' and I'm sayin' and whatever else I seem to be hearin' from everybody else." That's pretty clear to me. No new hiring until and unless a second pension tier is implemented for the organization needing more staff. 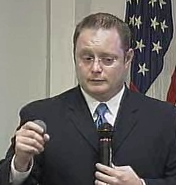 There were no exceptions noted and no specific authority given to Hatch to deviate from that statement, so it looks to me like we will be stuck at 440 full time employees - nearly 40 below the budgeted authorize strength - unless the employee organizations open up their contracts and agree to a second pension tier for new hires. One can only assume that those frozen jobs include the two management slots in the CEO's office that appear to be earmarked for Dan Joyce and Bill Lobdell. It's also interesting to note that, while every other part of the organization has been asked to slice staff and most have the specter of outsourcing hanging over their heads, it seems like Hatch has been staffing his organization to the hilt. During council member comments Mensinger made it clear that he was going after retiree medical benefits and open-ended pension benefits. He asked the staff to come back with reports on each - just as he had done on the hiring freeze two weeks ago. If I'm a current employee or a retiree I'm really going to be getting nervous now about just what he might have in mind for me. It's not going to be good news. 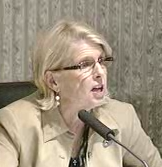 Right at the very end of the open session, as the clock on the wall approached 11:00 p.m. - contract City Attorney Tom Duarte reported that the Costa Mesa Firefighters Association, which had agreed last year to pay 5% of their PERS pensions costs for a year - an arrangement which expires next month - had not responded favorably to the City's request to extend that payment through the end of their current contract in 2014. Instead, they counter-offered to pay it for three months and asked to open negotiations to discuss layoff procedures. He further stated that, in response to the letter the City sent to each of the six bargaining units, the OCEMA and the Police Management Associations refuse to open up their contracts. No word on the status of the remaining three units, but I've heard grumblings that none of the six will be willing to open up their entire contracts - they just don't trust the council, and who could blame them? Other things happened last night, as well. The three new RFPs were approved for release, although some slick maneuvering was done by Righeimer to make Wendy Leece think she was voting to change the scoring criteria back to an even playing field - removing the 50% weight for Pricing - on two of the three. She was conned and that change only occurred on one of them. Perhaps the most bizarre piece of business conducted last night was generated by Bever. When it came time to consider appointments to several city committees, out of the blue h e expressed concern that we were making these appointments twice a year, and that we had too many members on the committees. This was a truly strange pronouncement following City Clerk Julie Folcik's observation that we had received a bumper crop of applicants for each of the committees. 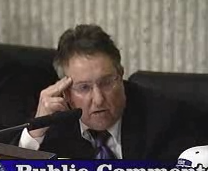 Bever went on to propose the council realign the city policy in question with the following changes: 1) reduce each committee to only 9 regular members; 2) permit ONLY Costa Mesa residents to sit on City committees; 3) accept NO late applications and 4) only recruit for these committees once a year - in the spring. One had the feeling that he felt it was too much trouble to do this twice each year. Of course, since he's a part-time, part-time council member with an attendance record that would get him a place in the corner with a dunce cap on his head in elementary school, it's peculiar that he would complain about this stuff. So, the council voted, 4-1, with Leece voting NO, to simply reappoint all the incumbents, make the changes to the policy mentioned above and deal with the problem in the spring. They chose to blow off the three dozen applicants for spots on the committees without so much as a "thank you" for applying. This is a stupid, incompetent way of dealing with issues, but not surprising these days. The only person they DID appoint was Ernie Feeney, to the open position on the Senior Center Board. That one came as no surprise. After much discussion, the council agreed to retain the current methodology of recording meeting minutes with one exception. 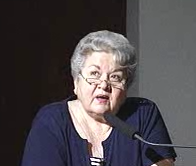 For speakers in the Public Comments segment, they agreed to permit a brief - 5 word maximum - description of the subject, along with the person's name, city and location on the Granicus video record where their comments can be found. This may have been their most sound decision of the evening. The council concurred with Finance and Information Technology Director Bobby Young's assessment and response to the Harvey M. Rose Associates financial review. The City rejected every suggestion and voted to receive and file the report, 5-0. Costa Mesa Police Captain Les Gogerty gave a brief report on the use of th e Huntington Beach helicopter for the past three months. He indicated that they are averaging 82 calls for service per month, 35 hours of flight time, which includes 13 hours of calls for service. We are presently negotiating a 6-month extension with Huntington Beach, through the end of our current fiscal year on June 30, 2012. Although the meeting didn't stretch into Wednesday, what it lacked in length it more than made up for in strange decisions. The agenda the majority of this council has becomes more clear after each meeting. They want to destroy the bargaining units and don't really care about how service levels may suffer in doing so. They preach "transparency" and produce the window dressing to support their claims, but where the rubber meets the road - in their official actions - they deal in subterfuge and deceit. Our city is being poorly served by this crew. 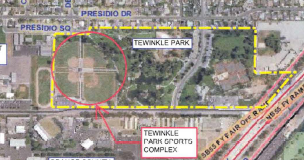 The City of Costa Mesa is seeking a community member to serve on the recently formed TeWinkle Park Athletic Complex Task Force, which will consist of nearby residents, sports advocates and one at-large member. The deadline to apply is Friday at 3 p.m. The task force will be looking at the potential for a public-private partnership to manage the ball fields at the park. If you are interested, please contact Alma Reyes at (714) 754-5024 to obtain an application or visit the City’s website (www.costamesaca.gov). All applications need to be submitted to the Public Services Department, 77 Fair Drive, Fourth Floor, Costa Mesa, CA 92626. 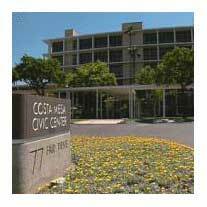 The Costa Mesa City Council will hold its regularly-scheduled meeting tomorrow, Tuesday, October 18th in Council Chambers at City Hall beginning at 6:00 p.m. The agenda includes some VERY interesting items - some that might generated spirited discussion among the council and residents. Here's what you have to look forward to, either in person or live and in living color on Time Warner Cable Channel 24 or ATT U-verse channel 99. You can also watch it via streaming video on the city web site. In the Consent Calendar there are, as usual, a couple Warrants for us to consider. And, since the lovely ladies in the City Clerk's office now turn the spread sheets 90 degrees for us, it's much easier to read them instead of having to lay on the floor with my head turned sideways. In #2391, HERE, you'll find some items of interest. For example, we paid the City of Huntington Beach $25,410.00 for helicopter service for the month of August - which would have been a short month. We paid Jones & Mayer, our outsourced contract City Attorney, $115,668.76 for their work on a variety of issues - 47 separate line items appear - including Benito Acosta (still? ); CMCEA; Medical Marijuana; 440 Fair Drive ( a haven for medical marijuana dispensaries and massage parlors), among others. The very next entry is for Jones Day, the most expensive law firm around, to whom we paid $19,305.00 for "Legal Svs - CMCEA". Which means that, at the rate we were told Jones Day charges - $495/hr - we paid for almost one week of somebody's time - 39 hours. So, we've paid them AND Jones & Mayer for work involving our miscellaneous city employees - apparently to quash the lawsuit. It will be very interesting to follow this particular string of charges since, as you may recall, there was no ceiling in our contract with Jones Day - we basically gave them a blank check. As I contem plate that particular relationship - with an outsourced contractor overseeing another outsourced contractor - I find myself thinking this may be just the kind of complication some outsourcing arrangements bring to us. Why would a private firm - who makes their money billing for every breath they take on their client's behalf - suggest putting a ceiling on fees for another firm? It would seem to serve their interests, but not necessarily the City's interests, if that pot of gold remains uncapped. Speaking of which, this council meeting brings to us three more outsourcing RFPs for consideration - Signs and Marking Services, HERE; Street Sweeping Services, HERE and Emergency Services Equipment, HERE. These are also on the Consent Calendar, which may be voted on without comment unless someone asks for them to be pulled for discussion. The only Publi c Hearing of the evening will involve a discussion, based on a report from the Traffic Impact Fee Ad Hoc Committee, of whether or not to change the current schedule for traffic impact fees on developments within the city. After a lengthy study, the committee and staff recommend no change at this time. You can read the report and reasoning behind it HERE. The council will also consider appointments to various appointed committees. You can read the staff report HERE. You can read the list of committees and applicants HERE and the committee rosters and applications HERE. These are important appointments and, even though there are fewer vacancies coming up this year, there is an extraordinary cadre of applicants from which to select those few this year. Next year there will be MANY more vacancies. The council will also consider council member Wendy Leece's request for a further examination of just how the minutes of council meetings are to be kept. Presently a detailed description of comments by the members of the public are not being kept in written form. The staff report is HERE. Bobby Young, Director of Finance and Information Technology, will present his rebuttal to the financial review recently conducted by Harvey M. Rose Associates for the the Orange County Employees Association (OCEA). His point-by-point response should answer any qu estions raised by the Rose report. You can read the staff report HERE. I'm not going to try to provide an analysis here - the staff report does a good job. In another fiscal matter, Young will also present a discussion of the audit of City's policies and procedures over Payroll, recently completed by Lance, Soll, Lunghard, LLP. You can read that staff report HERE. Finally, the c ouncil will consider an item titled, "Staff hiring procedures". This is a result of councilman Steve Mensinger's recent call for a hiring freeze to force the bargaining units to the table to adopt a 2-tier pension plan. 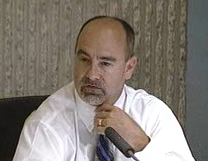 City Chief Executive Officer Tom Hatch will present to the council the current methodology for managing vacancies. That staff report is HERE. I'm not sure Mensinger and Mayor Pro Tem Jim Righeimer are going to be satisfied with the current methodology. I think, based on the way Mensinger presented his question, that they want a club with which they can clobber the bargaining units into submission. We'll see how this item - at the tail end of the meeting - plays out. It looks like this meeting will be another long one, with the potential to drag on until Wednesday before the council moves into its closed session. I'm taking a pillow with me this time.